Commissioned for Surface Design Journal Summer/Fall 2015 issue, Made/Aware, pp.12-17. An exploration of projects by Long Beach, California-based artist, activist, garment worker, and educator Carole Frances Lung (also known as Frau Fiber). 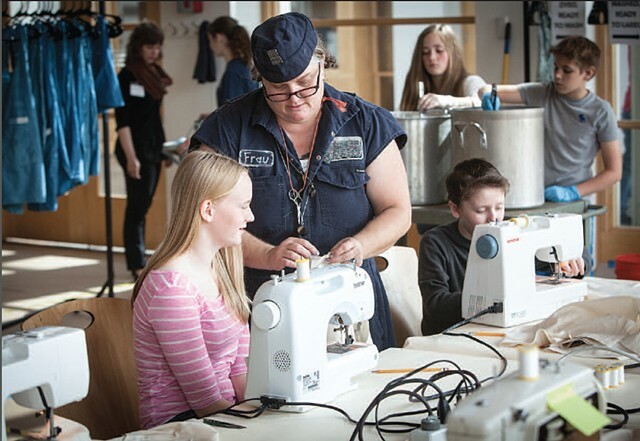 Through works that span public and participatory sewing performances, instructional workshops, and social entrepreneurship, Lung is attempting to halt  or at call our attention to  the abuses of global garment manufacturing. Working in the USA, Haiti, Ghana, and Germany, the artist seeks to foster grassroots production, strengthen and sustain alternative economies and worker-controlled labor systems, raising awareness about abusive working conditions and providing alternatives to consuming mass-produced clothing.